"Japan's Nikkei Industrial daily reported today that Capcom will be bringing a multiplatform engine that it currently uses for PS3 and Xbox 360 development to the Wii as well. The company aims to improve development efficiency and cut costs. By undergoing simultaneous development, it believes that it can shave 1/5 off development costs and 1/3 off development time. Capcom currently uses its internal MT Framework engine to develop its high end multiplatform games like Resident Evil 5 and Lost Planet 2. It's presumable that the paper is referring to this engine." This is after everyone was saying that the MT Framework engine couldn't be done on the Wii. Well, it looks like Resident Evil 5 would be very possible now. Even using the Darkside Chronicles engine would've probably been enough to do the port. Maybe this also means that the next time Capcom decides to release a Devil May Cry or new Lost Planet they won't just be PS3/360 but also the Wii. This is great news if you ask me. Lost Planet on Wii could be great. Don't you all think this is at least 2 years a little too late? That support should've been from day one. Instead we got idiotic "tests" that have produced results that no Wii owner really wanted (another rail-shooter? gee, thanks Capcom!). 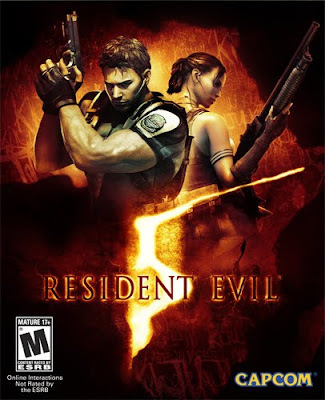 Every freakin' Wii owner wanted RE5 on said console. And Capcom knew that ages ago. Sven from Capcom-Unity knew it. They all did. Presently, no Wii owner is going to take up the arse with these "tests" anymore. That's why Dead Space Extraction bombed despite EA's warning Wii owners that that game was a test. F-U EA! Make a proper game for the Wii or STFU! Anyway, I expect Darkside Chronicles to sell well but not as good as Umbrella Chronicles sold. Why? Because what's the point of supporting these 3rd rate efforts? If we support it, we'll only get a SEQUEL. Another rail-shooter. Sorry for the rant. But I think Capcom came to their senses a bit late. I was about to mention the coincidence of this announcement with Wii2 news leaking out. This would make sense. It's a no brainer for CAPCOM to use their MTEngine for the next Wii console. I'm sure the Wii2 will be 100% compatible with the original Wii. I think this is why CAPCOM could never give us any real news on RE5 for the Wii. I wish Wii could recover gamers trust, because they say wii sales have gone down, besides, I don't want a Wii 2 very soon, ¿what am I gonna do with the one I paid for?